It’s back to school time and for many that means back to school supplies. Being a homeschool parent requires a lot of planning and supplies. You need to think of everything from curriculums to storage and even pencils! I try to shop online as much as possible, whether we are buying new supplies or replenishing our stockpiled essentials. All of our online shopping trips start with a visit to Ebates. Ebates is an online shopping portal that pays members cash back every time they shop online as well as providing them with the best coupons and deal offers. There are over 2,000 online retailers including some of our favorites, like Staples, Walmart, Discount School Supply and more. To date we have earned over $520 cash back from our online purchases. Everything is automated so there are no points to redeem, no pesky forms, and no fees. If I need something in a hurry, I still place the order online and take advantage of in-store pickup that many stores now offer. Ebates makes our back to school shopping simple, from the convenience of our own home, plus we earn cash back on supplies we need to buy either way! • Sign up for a free Ebates Account using your email address. • When you are ready to shop, visit Ebates to search cash back stores, coupons and products. • Click shop now next to the store you wish to visit. This will create a shopping ticket and automatically transfer you to the online store. • Each store offers a different cash back percentage. Just look at the percentage next to the store name on the Ebates site to see how much savings you will earn. • Shop and check out as usual. 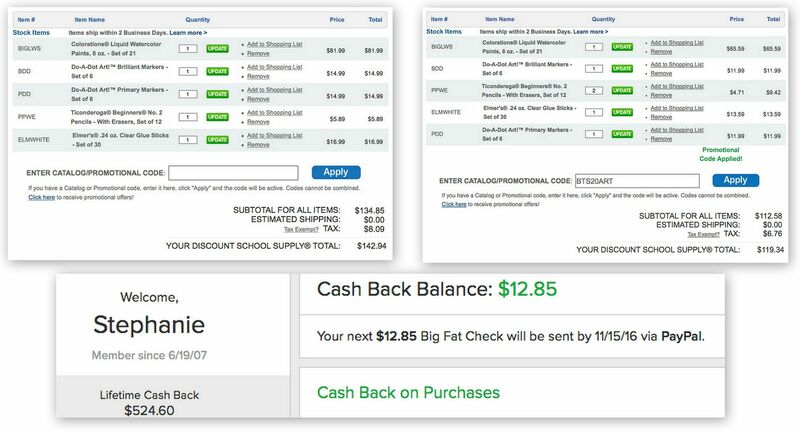 • Once the purchase is complete Ebates will automatically calculate your cash back and credit your Ebates account. • Every 3 months, Ebates will send you a cash back payment for the purchases posted during the previous quarter. 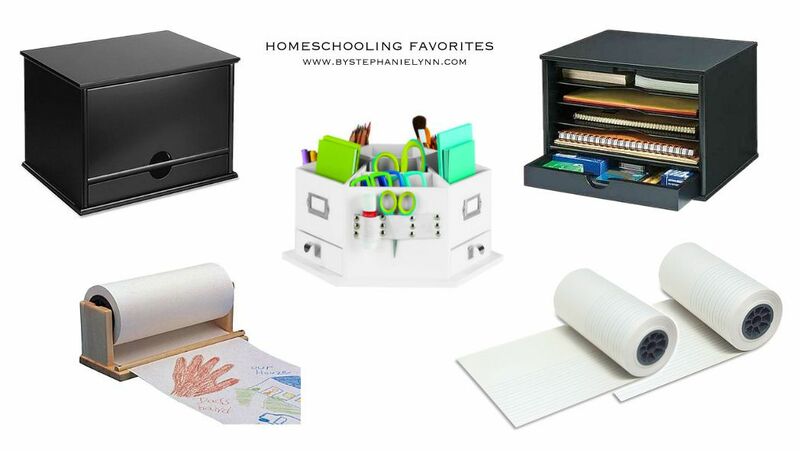 Below are a few of our favorite Homeschool Essentials. I have spent the past couple years working on finding the best ways to stay organized and creating a learning rich environment in our home. No matter where you are in your homeschool journey, I hope some of these essentials may help you set the foundation or give you new ideas for a successful year. 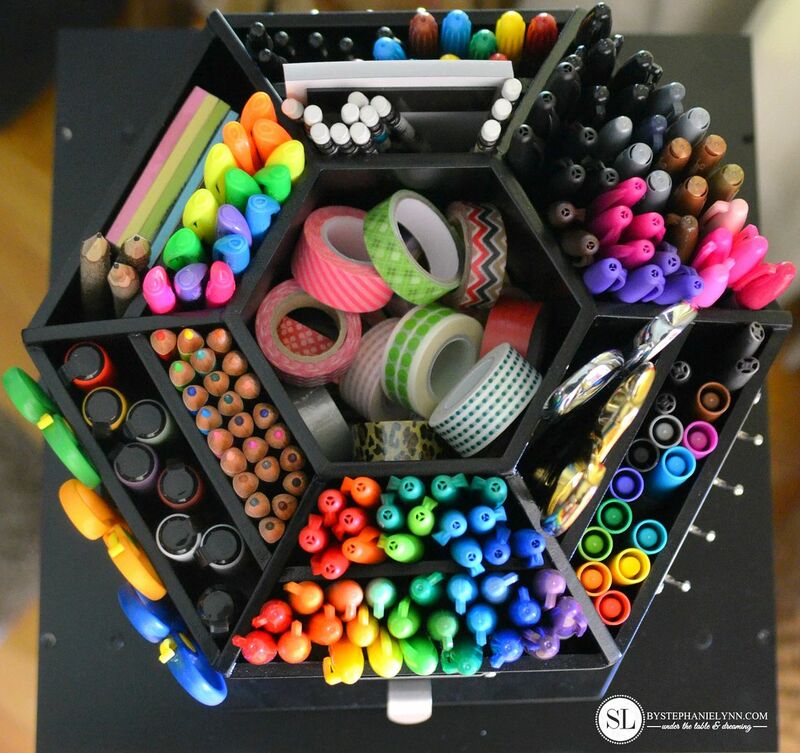 The key to keeping an organized school room is storage. Our homeschooling room is located on our first floor and is one of the first rooms you can see upon entering the house. 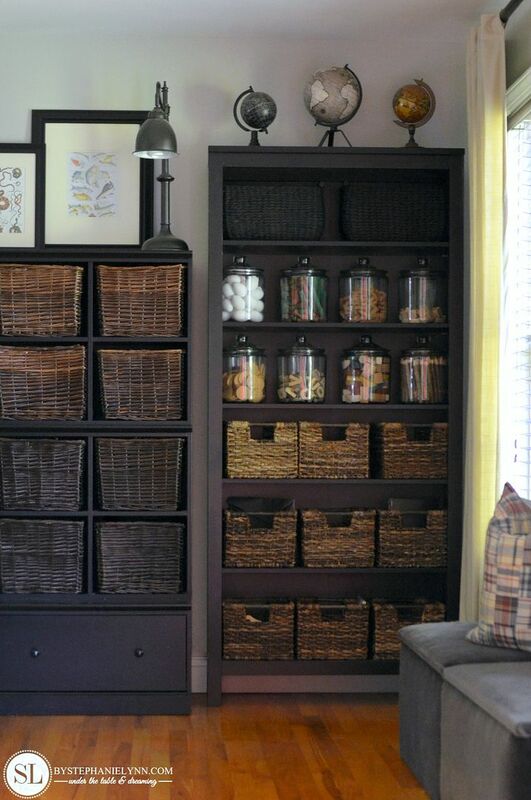 Using a variety of storage baskets and bins not only keeps the room looking tidy, but allows us to utilize more space in the room. Everything has a dedicated home which helps keep all of our supplies organized and makes clean up a breeze. 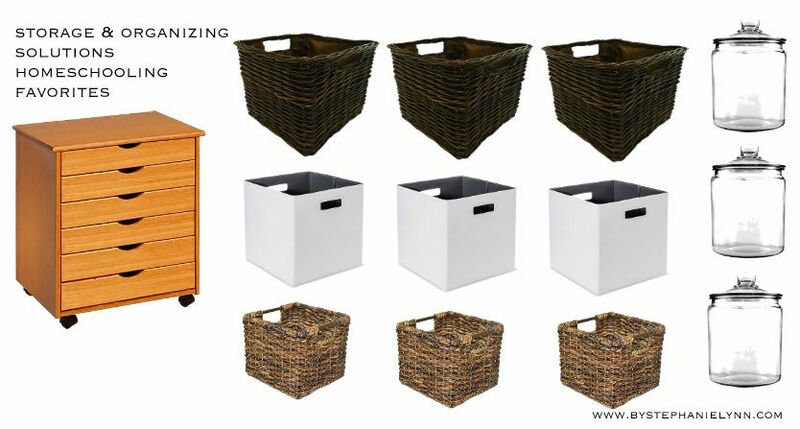 We also use a number of the smaller baskets as our daily work bins. 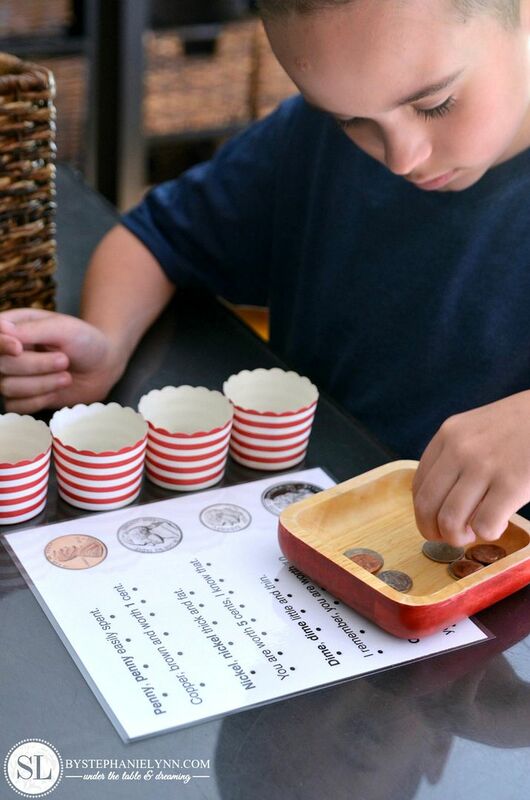 These are filled with tray activities that correspond with our current learning theme. All of the activities and supplies are laid out and organized before the week begins and easily accessible for CJ to choose his work throughout the day. The rolling cart is used the same way. Each drawer is home to a separate science experiment, writing activity, or kitchen/craft project. We love this cart as it is crafted of real wood making it sturdy for years of use. The desktop organizer is mainly used to hold all of the record keeping paperwork I need to log our daily activities. The pull out drawer on the bottom is the perfect spot for storing smaller office supplies, like paper clips, thumb tacks, and staples. 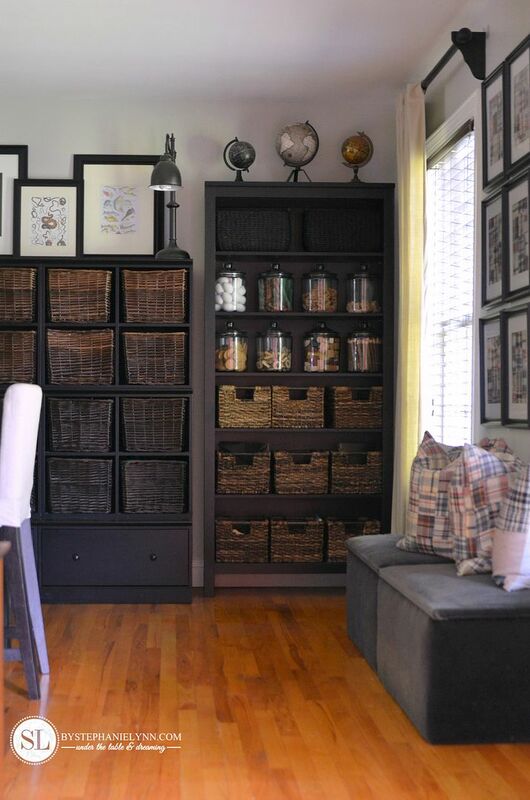 The storage carousel is one of our favorite desktop organizers. 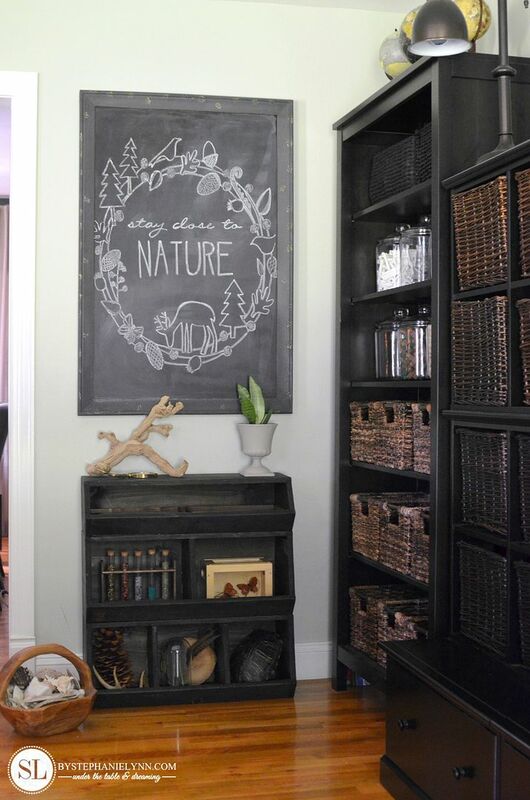 It conveniently stores all of our writing utensils and more, within an arms reach. This year we purchased a laser printer and it has been one of the best investments. Like many homeschoolers, we print a lot throughout the year. While inkjet printers are fairly inexpensive we were spending so much on the cartridges, which did not last long at all. With the help of my techie father-in-law we found this laserjet, which is reasonably priced with rave reviews. The quality of the laser printing is simply amazing. This particular printer uses four separate toner cartridges, in which the black yields approximately 1,500 pages. So while the toner cartridges may cost a little more than ink cartridges, they last significantly longer. I absolutely love this printer! We laminate almost as much as we print. This laminator has been the best value by far. 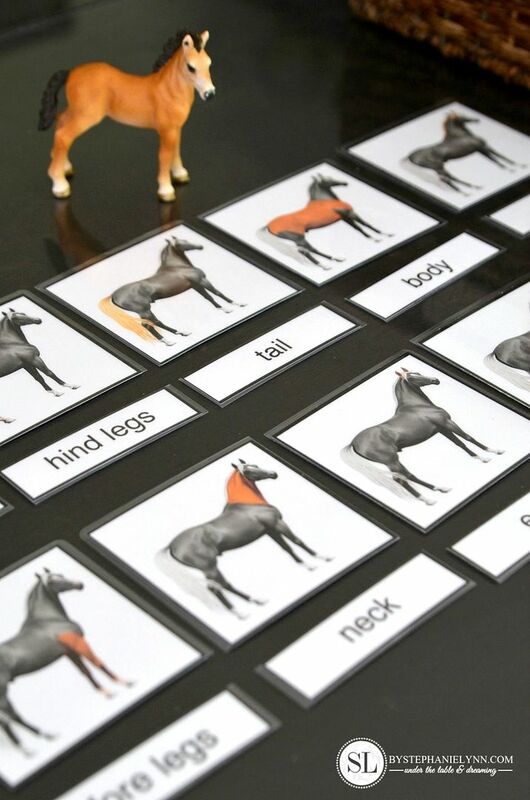 I love that it heats up quickly, is easy to use and can laminate up to 13 inches wide. While it can handle up to 5 mil laminating sheets, I usually just pick up the Scotch Thermal Pouches as they are fairly inexpensive. And if you laminate for school, most likely you’ll be cutting just as much. While this paper cutter is fairly inexpensive, it holds up to the Fiskars quality and is totally worth it! And finally some fun products we love. We are big fans of Melissa and Doug and this magnetic calendar and responsibility chart not only combines both the quality and durability of their products, but are a functional part of our everyday school routine. If we could only choose one art supply to purchase for the year it would be liquid watercolors without a doubt. We use them as paint, stain and even to color rice. The colors are so vibrant and you need very little to work with, so the bottles last a very long time. Ticonderoga pencils are awesome. We currently use their Beginner Pencils and they are simply the best for those learning to write. 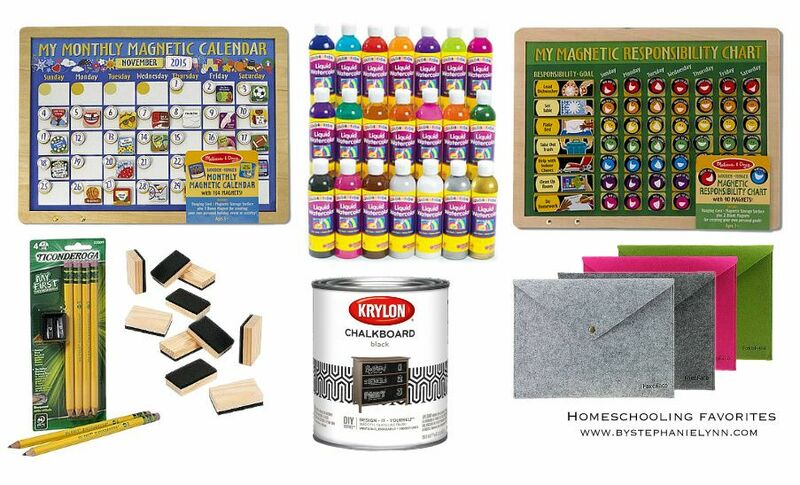 This month we have already earned over $12 through Ebates on supplies we needed to purchase for homeschool this year. And that is not including special discount savings we received through online coupon codes and deals. Our best savings was on our recent order through Discount School Supply . and earned an additional 2% cash back through Ebates. If you already shop online, it’s time to get paid for it! back to school clothing and uniforms and much more! Save even more during Ebates Back to School Triple Cash Back Week, running now. with Ebates Cash Back Button, free Ebates App and In Store Cash Back Offers. 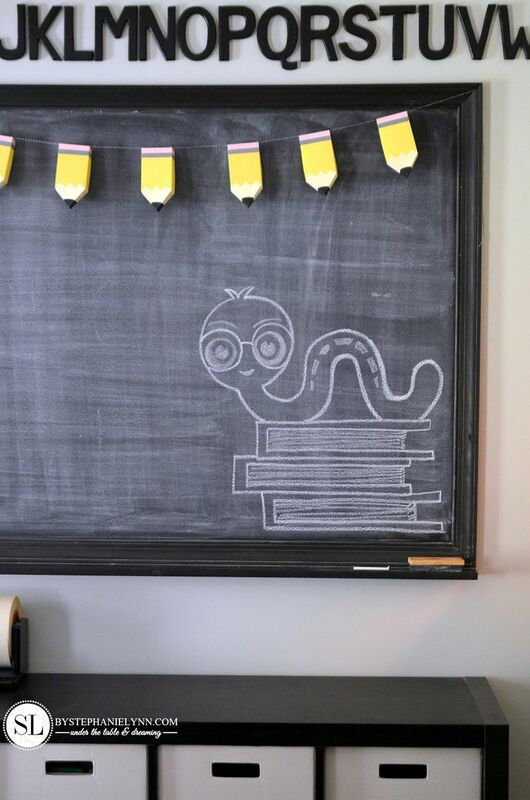 Is your school room ready for the new season? Contest closes August 31, 2016. IC will choose three winners at random from all of the entries. No purchase is necessary to win, just a valid Ebates account.